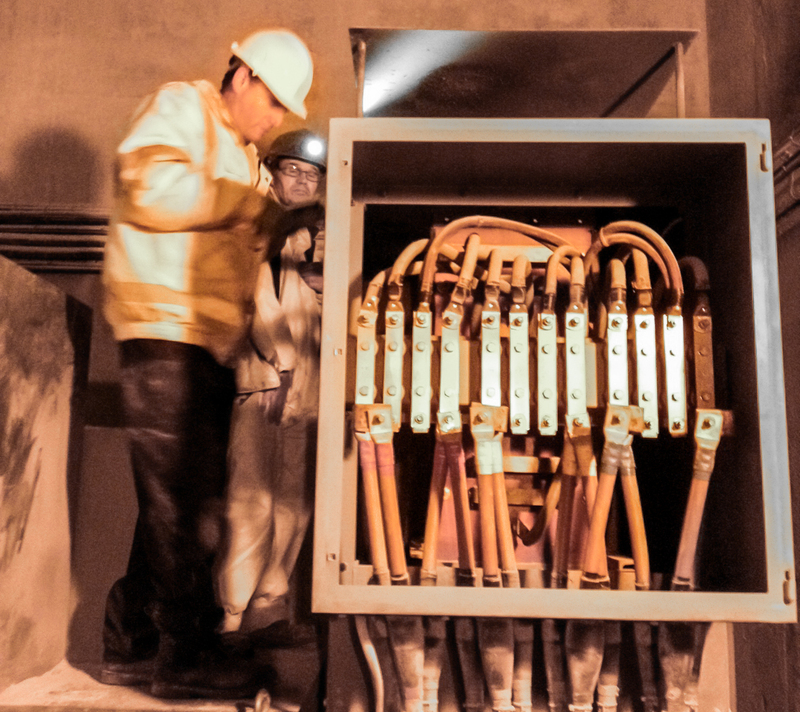 Andy Pye looks at the use of dummy electrical load banks to provide testing for emergency power supplies to critical infrastructure. Building and plant managers need to be sure that people will be safe if the electrical supply is cut off in an emergency with the help of load banks. For this reason, most public buildings, banks, hotels and process industries will have at least one alternative power source that can be called upon when primary power from the Grid is cut off for any reason. These alternatives will invariably be one or more diesel generators, sometimes supported by battery-backed uninterruptible power supplies (UPS) to ensure continuity of supply to computer systems and emergency lighting. The challenge is to ensure that they will not fail on the relatively infrequent occasions when they are called on to work. As in any system that spends most of its time unused, relays stick, filters clog up, batteries go flat, pipes burst, fuses and timers fail. For these reasons, regular “real testing” of emergency systems is a must. In the case of both batteries and diesel engines, the worst way of testing them is to switch them on or start them up without applying any load. The only way to ensure that systems are functioning properly is to put them to work. If this can be done offline, then the disruption to normal operations is minimised and routine tests will not be discontinued. For these reasons, a dummy load is an essential component of any well-designed emergency power system. Load bank models can range from small portable loads used for testing petrol generators, to high voltage load banks for large diesel generators and gas turbines. Regular load testing, along with correct battery maintenance, is the best way to ensure the reliability of standby power systems. Battery-backed uninterruptible power supply (UPS) with an autonomy of 5 to 30 minutes are usually part of a standby power installation. They ensure continuity of supply, while standby diesel generating sets are started. In most applications, UPS allow loads to operate without a break during a power outage and are considered critical to business continuity. To maintain UPS reliability, load bank testing is implemented to ensure UPS can meet the requirements when most needed. Load bank testing analyses the UPS and generator under load conditions and is most often carried out during preventative maintenance. A UPS battery set is only as strong as its weakest battery cell. This means load bank testing can also be used to ascertain the condition of UPS batteries to indicate if any individual cells are losing capacity as they approach the end of their working life. Thanks to features such as touch screen controllers and Ethernet connectivity, load banks are now easier than ever to operate. Adding a fixed load bank to a generator at the time of installation is much less expensive than retrofitting one. The reason is that a fixed load can be fitted in the air outlet between the radiator and the acoustic splitters, saving the space and cost of separate fans and ventilation systems. A further benefit is that a load bank in front of the radiator doesn’t create any additional noise. Another way of reducing capital expenditure is to use a single load bank to test multiple generators, or multiple generators and a UPS, in sequence. Again, by considering testing at the planning stage it’s easy to build this into the system. In some cases there is a further benefit in that the same load bank can be used as a ballast load during normal operation of the generating set. In those applications where the connected load may vary over a wide range, either as a result of seasonal variations or the nature of the load itself, when the ‘real’ demand is small it can be beneficial to add some additional load to keep the engine operating at least at 20% to 40% of its capacity. If a load bank is incorporated into the set when it is built, the only addition needed to the control scheme is a load-sensing relay in the generator control panel. Cressall Resistors’ load banks for fixed installations are designed as a bolt-on addition to the generator set, requiring a space of only 400 to 800mm between the radiator and the acoustic splitters. The grids are assembled in banks with ceramic insulation rated for 1kV operation. Because the load bank makes use of the radiator airflow for cooling, the basic design is simple, low -cost and adaptable to almost any engine. In some cases, the same load bank can be used as a ballast load during normal operation of the generating set. Most standard generating sets in the 50-1000kW range have radiators with a free pressure loss of at least 125Pa, so a load bank can be added without the need for modifications to the basic design or an increase in the rating or cost of the acoustic splitters. Rolls Royce’s 86MW load bank is the largest ever produced by Cressall and is used in one of the power systems giant’s development facilities for testing gas turbine generator sets. It was installed at Rolls-Royce Canada’s Test Cell no. 7, beside the Lachine Canal in Atwater, a suburb of Montreal. At 60m long, the load bank is cooled entirely by convection. The load bank is used for the development and final production tests of industrial gas turbine generator packages. It is suitable for 13.8kV/60 Hz and 11kV/50 Hz testing, allowing turbines for markets outside North America to be developed and tested alongside products for local use. Fine control of the exact load is achieved by varying the output voltage. The load bank is necessary because, although it is beneficial to return power generated during a test back to the grid, this isn’t possible with 50Hz generator packages because the local grid in Montreal operates at 60Hz. Before installing Cressall’s load bank, Rolls Royce used fan-cooled models on a number of test sites in the area. As a result, the company experienced severe problems with insulator breakages in the winter, caused by rainwater freezing inside the insulators and leading to cracking. However, as well as protecting the nearby residential area from intrusive noise, the use of convection cooling instead of fans means there are no motors to freeze up during the harsh Canadian winter. The 21 modules are arranged in groups of three, providing seven independently switchable sections and a total installed capacity of 86MW. The load banks are installed on a purpose-built steel platform, five metres high, to ensure adequate flow of cooling air up to and through the gratings on the platform and into the base of the load banks. There is provision on the platform for the future installation of three more modules to raise the total capacity to 98MW. There are 12 stacks of low inductance expanded mesh resistors in each module, made from a high-grade (25% nickel, 20% chrome) stainless steel, optimised for high-temperature resistor use. These are graded to minimise temperature variations throughout the stacks. The use of non-magnetic stainless steel helps ensure silent operation. Despite this, the Montreal site always has problems with the accumulation of snow and ice outside the load bank structure during the winter months. But clearing the load bank for use involves nothing more complex than the application of a reduced voltage and power, typically 50-100kW per module, to the load itself for a short period to melt the snow and ice. Could the IoT cause energy consumption to spiral?